Cole Cuchna is arguably the hardest working music journalist in the world right now. The creator and sole producer of the Dissect podcast has gained a dedicated fanbase after releasing two unrivalled, illuminating deep dives into Kanye West’s My Beautiful Dark Twisted Fantasy and Kendrick Lamar’s To Pimp A Butterfly, all recorded in his garage at night while he held down a day job. 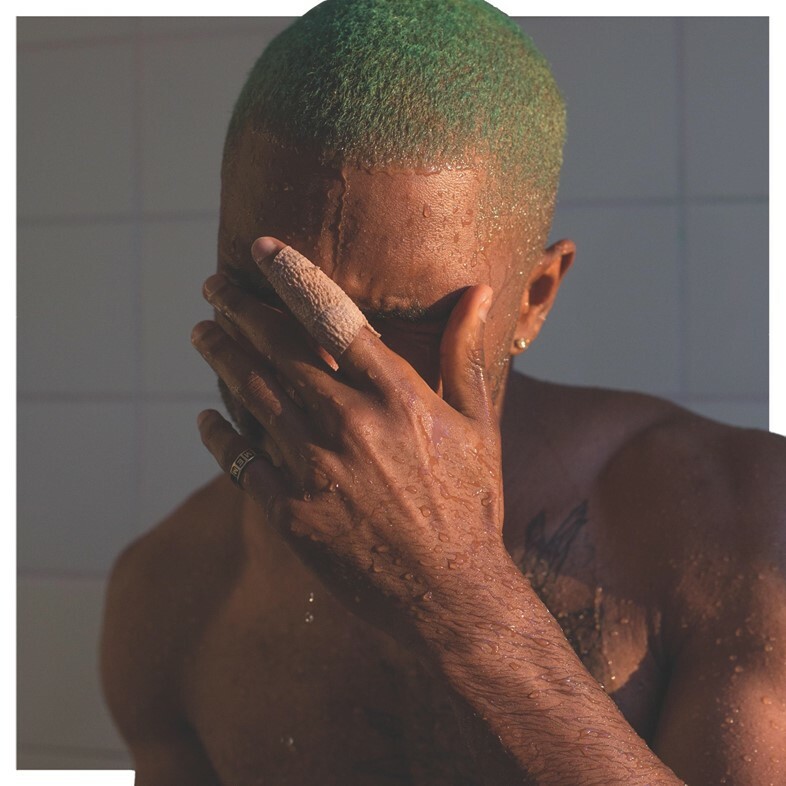 After Dissect’s quality quietly made waves across the hip hop world, the producer and host has now partnered with Spotify to develop the latest focus of his attentions – Frank Ocean’s serene masterpiece Blonde, an album that’s as beguiling as it is powerful. Cuchna’s work thrives on attention to detail, pulling apart albums line by line using only his voice and research, spending an episode on each song, and offering context and meaning to the artists’ visions. His dissection of Blonde is bound to be engrossing – somehow Cuchna makes longform radio journalism oddly thrilling. We caught up with the brains behind the show to ask him about the origins of Dissect, Kanye West’s recent behaviour, and whether Frank Ocean has been in touch. Dissect has picked up a lot of attention post Kanye and Kendrick, and the next album focus was a crucial step for you. How long did you agonise over the decision to do Blonde? What clinched it for you? Cole Cuchna: I started thinking about Season 3 at the end of last year. Frank was always at the top of the list. My intuition told me he was the right choice and fans of the show overwhelmingly requested Frank as well. It was certainly difficult choosing between Channel Orange and Blonde. That debate lasted longer than choosing the artist. In the end, I decided on both: six episodes on Channel Orange, 11 episodes on Blonde. A win-win, and my first double-album season. Does Frank Ocean know you’re doing this - do you think he’ll listen? Cole Cuchna: Dissect is a celebration of great art and I’m mostly concerned with providing listeners a deeper understanding of that art. Frank has contributed annotations of his lyrics on Genius so it seems there’s some interest in fan interpretations of his work. At the end of the day, it would be great if the artist listened, but it’s all good if not. Having invested so much energy and research into Kanye West, what do you think of his current behaviour? Cole Cuchna: Of course, a lot of people have asked me that. For me, it’s all about the music so I need to at least hear his album before I have anything meaningful to say. How did Dissect begin? What galvanised you to do it? Cole Cuchna: It was shortly after my daughter was born and I was looking for something creative to do that fit my new lifestyle. I’d been playing music for 15 years or so, both in contemporary bands and studying classical music theory in college. I wanted to merge those two worlds somehow. To Pimp a Butterfly had just come out and I was also listening to podcasts for the first time. All the factors above combined to create Dissect – an academic look at contemporary albums published as a podcast. Have you managed to quit your job to do Dissect full time now? How did your family put up with you doing sprawling, solitary music journalism in the garage? Cole Cuchna: Yes, I partnered with Spotify just after the conclusion of Season 2. I quit my dayjob and I’m now able to produce Dissect fulltime as a Spotify Original Podcast. It’s really a dream come true and still a bit surreal. But it came at the perfect time as I don’t think a Season 3 would have been possible otherwise. It placed a strain on my family as you can imagine and I was perpetually exhausted. Blonde is one of my favourite albums – what’s your favourite lyric on it and why? Cole Cuchna: There’s so many, of course. But there’s a moment on “Ivy” that seems to get me everytime: “You ain't a kid no more/We'll never be those kids again”. So simple, but there’s just so much psychology in those lines. It doesn’t matter who’s listening, it’s a couplet that everyone can relate to. It’s tragic, nostalgic, and beautiful. And the way Frank sings the line hits my heart everytime. How long does it typically take you to record a series, and which one have you found the most challenging and why? Cole Cuchna: Hundreds of hours go into the research alone. I would guess that each episode takes about 15-25 hours to write, record, and edit. Each season poses its own challenges. With Season 1 on Kendrick’s To Pimp A Butterfly, navigating the social issues was challenging as I wanted to be sure I got it right and that I really thought things through to the best of my ability. That was also the longest season (22 episodes). I remember by the end I was exhausted. So I suppose Season 1 was the most challenging because I was figuring a lot of things out. Please can you start writing for Dazed? Cole Cuchna: Haha. Yeah! Let’s do it. Is there a journalist that’s really inspired you? Cole Cuchna: The biggest inspiration for Dissect is Dr. Robert Greenberg. Not a journalist per se, but he’s providing some of the best analysis of music right now. I discovered his work through The Great Courses, which are essentially on-demand, downloadable college courses. I listened to every Dr. Greenberg class, which focus on classical music and music appreciation. I modeled Dissect after his work. The biggest moment in the rap world (actually maybe the world) right now is Childish Gambino's video for “This Is America”. What were your thoughts on it? Cole Cuchna: Incredible visual, incredible song. While a proper dissection would require a lot more time than we have here, I’ll just say I very much appreciated what he had to say about contemporary life in America. And the fact a piece of art like that has the ability to go viral is really the highest level of achievement in my eyes. It’s one thing to say something important, it’s another to say it in way that resonates with millions and inspires people to really dig and analyse his message with such granularity. That’s how change and evolution is accelerated, with strong pieces like “This is America” that crack the zeitgeist and propel culture forward. Listen to the first episode of Dissect Season 3 here.